The talk will begin promptly at 4pm at the Ararat-Eskijian Museum/Sheen Chapel, 15105 Mission Hills Road, Mission Hills, California, 91345. The scholarship (and the popular discourse) on humanitarian efforts during the Armenian Genocide focuses on the role of western missionaries and consuls, who emerge as selfless heroes protecting and saving hundreds of thousands of helpless Armenians. 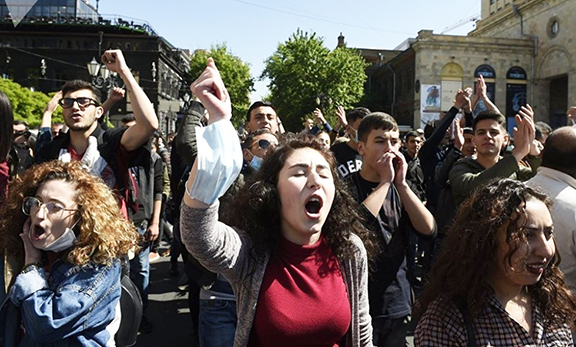 What remains neglected in scholarly inquiry is Armenian agency. In this illustrated lecture, Mouradian argues that it was the Armenians who drove the humanitarian resistance waged in the Ottoman Empire during the genocide, drawing upon previously untapped primary sources as well as fresh insights from others. Focusing on Aleppo and a the network of concentration camps in Ras ul-Ain and along the banks of the Euphrates River from Meskeneh to Der Zor during the World War I, Mouradian explores the interactions between the local, regional, and central authorities on the one hand, and the humanitarian resistance waged by a network of Armenians aided by locals and western missionaries on the other. Ultimately, their actions resulted in the survival of thousands of Armenians and book chapters. Mouradian is the Henry S. Khanzadian Kazan Visiting Professor at CSU Fresno (Fall 2016 Semester) and a visiting scholar at the Center for the Study of Genocide and Human Rights (CGHR) at Rutgers University, where he also serves as the coordinator of the Armenian Genocide Program. He holds a PhD in history from the Strassler Center for Holocaust and Genocide Studies at Clark University and a graduate certificate in Conflict Resolution from UMass Boston. He is the author of several articles.